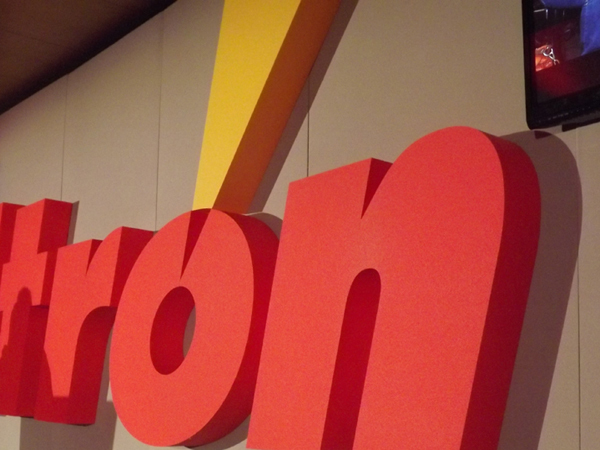 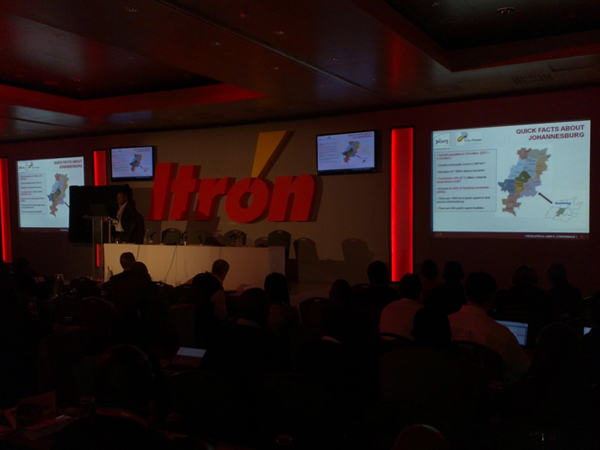 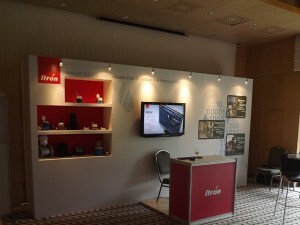 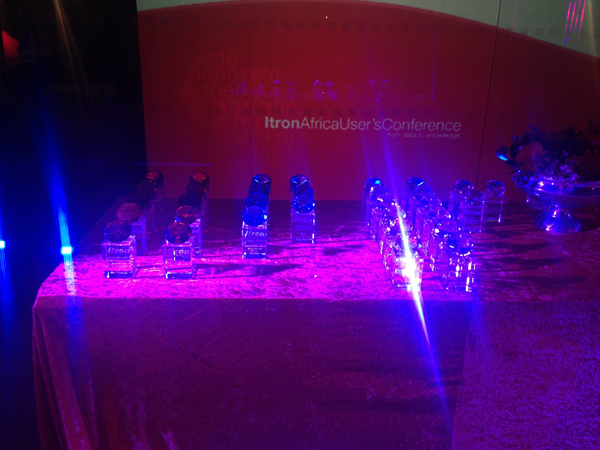 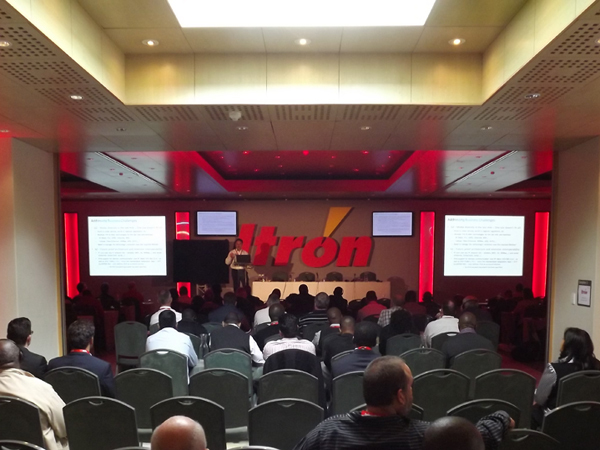 We were proud to assist Itron once again, in making their 2013 Africa Users Conference a success. 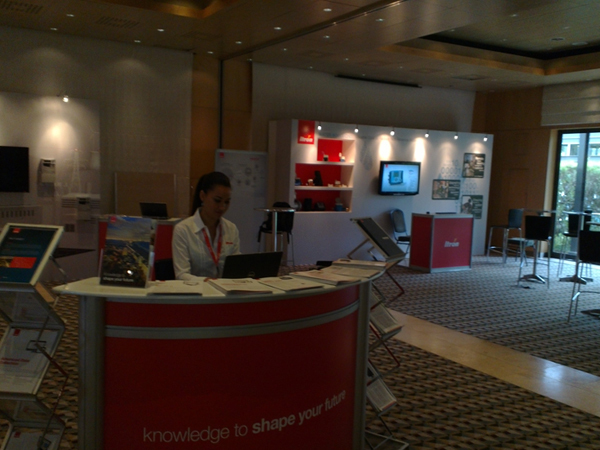 Taking place at the Vineyard Hotel in Claremont, we suggested a full set backdrop design using our modular sets and light boxes. 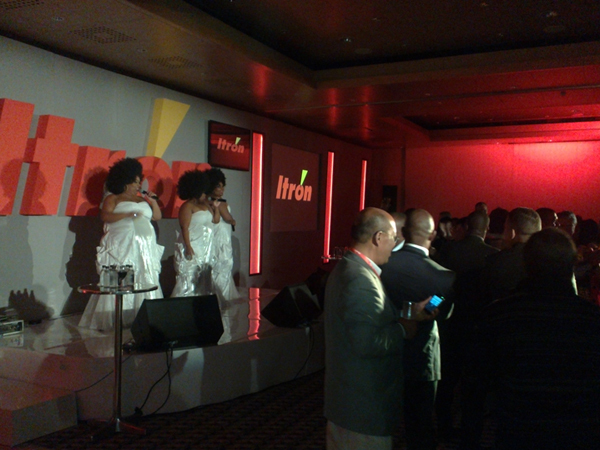 A large cut-out of the Itron logo was attached to the set as a real feature behind the white cladded gloss stage. The Christie LHD 700 projectors were used to give a full HD quality image onto the screens. 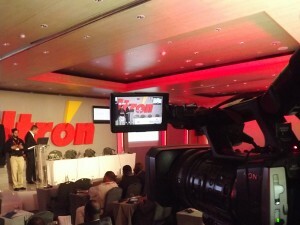 Also attached were 51″ Plasma screens in high-definition. Live camera feed was setup using Sony’s HDR High-Definition camera. 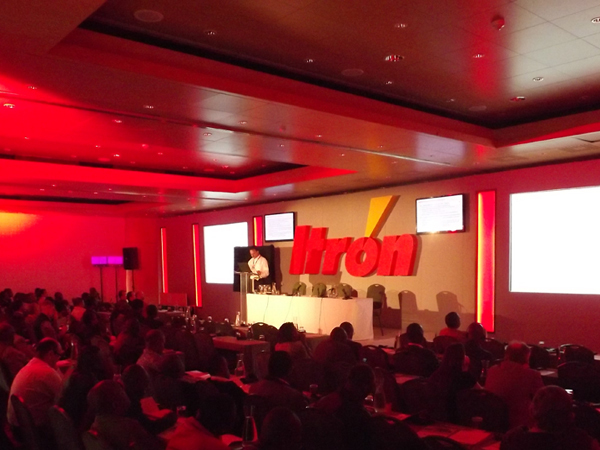 All lighting consisted of BriteQ LED lighting and Profile Source 4 Spots for stage presenter lighting. 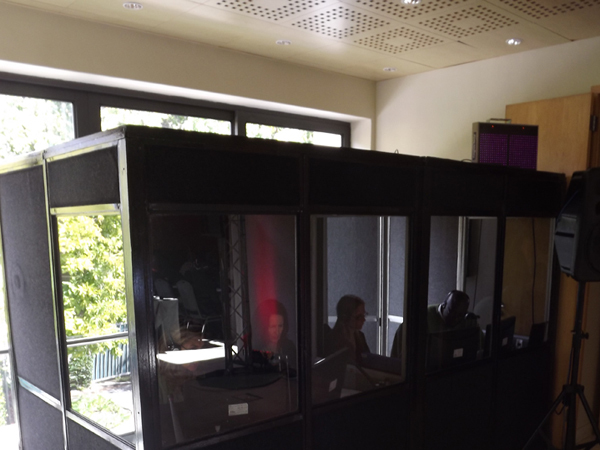 Translations booths and interpretation equipment were supplied by Congress Rental, while 2 x LG 60″ Plasma screens were setup outside for international delegates. 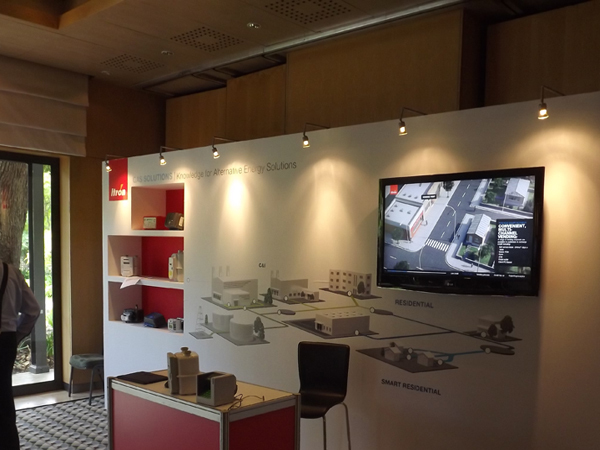 The main expo area downstairs consisted of 8 LCD screens, an audio station and complete custom shell wall design provided by Oasys Innovations. 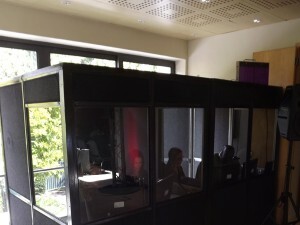 Each AV workstation consisted of 40″ LCD Screen, laptop and wireless keyboard and mouse systems, sourced by AV Direct. On the last night, the set was also used for entertainment which featured Three Tons of Fun LIVE!